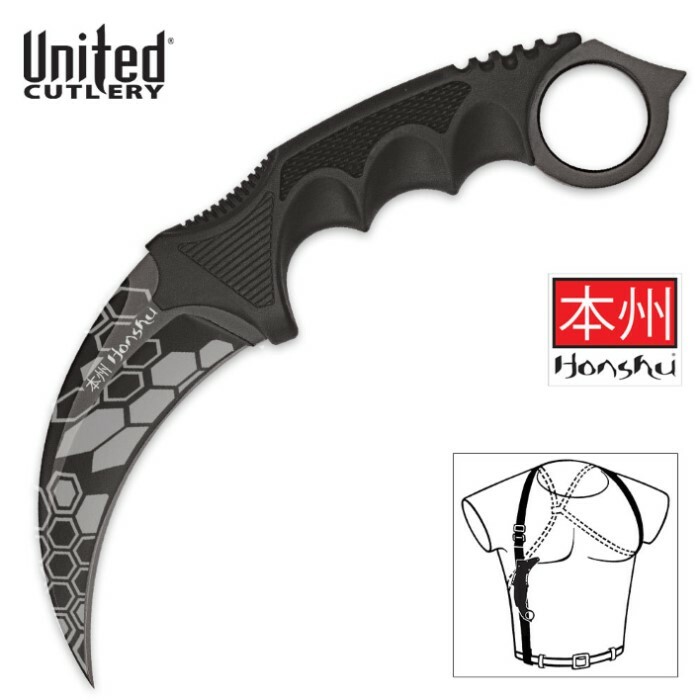 This limited edition vector camo karambit from Honshu is truly unique. It offers a razor sharp 7Cr13 stainless steel blade that has been black-oxide coated and laser etched with this limited edition vector camo pattern. Don’t miss out on this opportunity to own a real collector’s item. CS:GO fans can really understand the importance of having a knife that nobody else has. Why do you need a camo blade on a knife?! Because it’s freaking awesome. Get yours today before they’re all gone, quantities are limited.